Supporting the community groups that support our kids. A Product That Makes Adults Smile, & Kids Love It Too. The Kids Book Company is now providing awesome opportunities for community groups to fundraise without the hassle of organizing a bake sale or the chaos of coordinating a car wash. Most community groups exist to support our kids in some way – from sports to education, drama to surf lifesaving and everything in between. We are giving our support to those groups in turn. With up to 50% donated, register for this exceptionally easy and ludicrously lucrative fundraising program today. “You really can get a lot out of it by just sharing on facebook & encouraging your friends to share and buy too. I would absolutely recommend it for any community group trying to raise money. This is where you can achieve sensational success – it’s not just about the kids you directly impact, share out to your global network (and the global networks of every adult involved)! Shout about it to the world – send an email blast, post on your facebook every day, tweet about it, talk it up on linkedin and get all those who support you to do the same! Whatever you’re fundraising for, you can reach your goals. That’s up to $7.50 USD a sale! Because everything happens online, you can fundraise from all over the world by actively encouraging your friends to buy and share on their social networks enouraging their friends to do the same… That’s where the numbers really start to get exciting. The potential is seriously huge – how close you get to your goals is up to you and your (global) community! 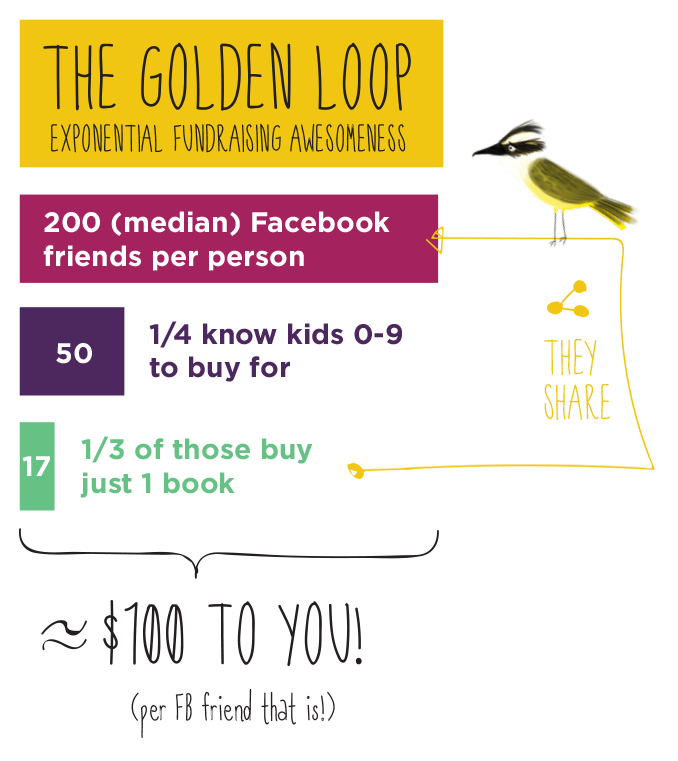 That’s what we call the golden loop of exponential fundraising awesomeness. Personalized kids books that educate on the sly. They’re phenomenal stories for kids that adults love to give. You will receive a return with the purchase of any book from The Kids Book Company via your link or coupon code. That’s any title, for any child, anywhere in the world. There’s new titles coming all the time too! An inspirational travel story for adventurous boys and girls 0-9. A counting adventure that’s full of love for kids 0-5. We make it EASY. 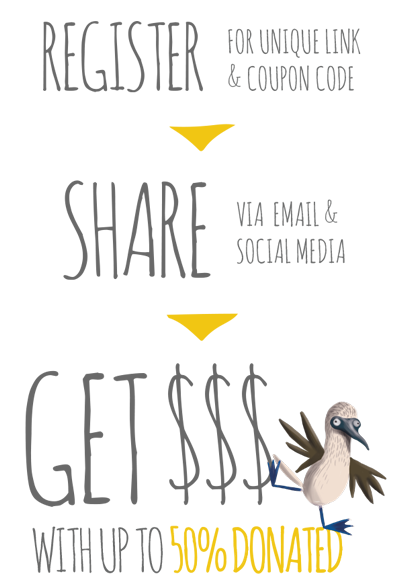 There’s even a Welcome Kit full of Emails, Cool Imagery, Social Media Posts, Posters & More. Get started or ask us about more information today!